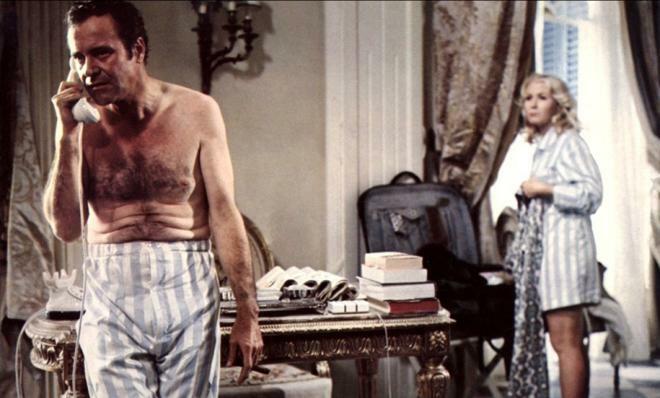 In this hilarious, lighthearted comedy from acclaimed writer/director Billy Wilder and screenwriter I.A.L. Diamond (The Apartment), a wealthy American discovers romance and the meaning of avanit while in Italy. Nominated for six Golden Globes - winning one - this "honey of a film" (Boxoffice) is as delightful as the Wilder/Diamond/Jack Lemmon classics Some Like It Hot and Irma la Douce! American businessman Wendell Armbruster (Lemmon) is summoned to Italy after a car accident claims the lives of his father and his father's secret mistress! And when the mistress' daughter (Juliet Mills) also arrives - and the bodies of both of their parents disappear - the two instant foes are brought together in a baffling mystery... and an affair of the heart! Among the pantheon of great Hollywood directors, few filmmakers are as revered as Billy Wilder. Responsible for a string of genuine masterpieces like Double Indemnity, Sunset Boulevard, Some Like It Hot, and The Apartment, Wilder is easily one of the medium's most influential and admired figures. That's not to say that every title in his filmography is a true classic, however, and of course he's got his fair share of lesser works as well. But thankfully, when you happen to be responsible for some of the greatest movies ever made, it turns out that even many of your comparatively lesser efforts still end up being rather solid films in their own right. 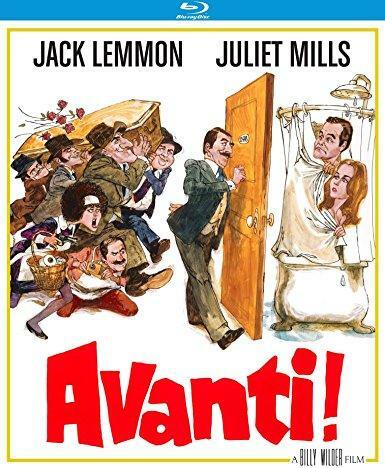 Such is the case with Wilder's 1972 romantic comedy, Avanti! While it might not carry the same pedigree as some of his earlier pictures, the movie remains an amusing and very worthwhile entry in the director's oeuvre. When his father dies in a car crash in Italy, Wendell Armbruster, Jr. (Jack Lemmon) hops on a flight to retrieve the body and bring it back to the states for his funeral. But while piecing together the full circumstances behind his dad's death, Wendell soon discovers that his father had a mistress who was killed in the accident as well. And it turns out that the mistress' daughter, Pamela Piggott (Juliet Mills), is staying in the same hotel. Though at first the pair seem at odds, a flirtation eventually develops that could see history repeat itself. Minus another car crash… hopefully. Establishing a leisurely rhythm right off the bat, Wilder kicks off the movie with a lengthy, wordless comedic gag that sees Wendell swap his casual golf attire for a stranger's suit while on a plane. And though the image of the silly exchange is quite amusing on its own, the director takes his time before actually revealing the motivation behind the joke, offering a delayed payoff that eventually clues us in on Wendell's unexpected need for formal attire after the fact. The rest of the movie follows a similar comedic tempo, allowing dialogue and visual gags to evolve and build to mostly satisfying punchlines. The majority of the humor ends up stemming from Wendell's agitated reactions to the various, increasingly elaborate setbacks he faces in his quest to get his father's body, along with a healthy dose of silly antics courtesy of the Italian hotel's eccentric staff (even if the script's reliance on stereotypes is disappointing). Likewise, the contentious romance and playfully dry banter between Wendell and Pamela is good for some laughs as well, and the chemistry between the leads is strong enough that many viewers will likely even find themselves rooting for infidelity (Wendell is a married man). With that said, like many of Wilder's previous films, the movie also a does a good job of blending in some genuinely serious elements as well, touching upon grief in a particularly affecting single-shot sequence that focuses on the pair viewing their parents' bodies. Unfortunately, as well-crafted as the majority of the movie is, the film is not with some notable flaws, including a few troublesome elements that come across as very outdated. This is especially true of the weight and diet related comedy tied to Pamela's character, with several jokes that are pretty mean-spirited by today's standards. On that note, Lemmon's character makes some rather cruel jabs at her expense that make it hard to sympathize with him. And when coupled with Wendell's already cranky attitude, this can make him a little too unlikable at times. And though the movie's slower pace works fairly well, the long runtime (143 min) does lose some steam in its third act. Avanti! never really comes close to competing with Billy Wilder's true masterpieces, but this relatively overlooked film is still a worthy effort from the director. Lemmon and Mills make for an amusing couple and there's some genuinely thoughtful filmmaking at work here -- even if some of the outdated weight jokes are likely to make you cringe. Kino presents Avanti! on a BD-50 Blu-ray disc housed in a keepcase. After some warnings and logos, the disc transitions to a standard menu. The packaging indicates that the release is region A coded. The movie is provided with a 1080p/AVC MPEG-4 transfer in the 1.85:1 aspect ratio. Though quite decent overall and seemingly free from any unnecessary processing, the image here still shows some room for improvement. The source is in pretty good shape but there are some intermittent signs of minor wear including specks and vertical lines throughout. A moderate to heavy layer of grain is also visible giving the image an appropriately filmic appearance. With that said, the picture can have a slightly fuzzy and noisy look in some instances. Detail is solid, though the film does a have comparatively soft appearance that lacks sharp fine textures in wider shots. Dimension is also lacking, leading to a predominantly flat look. Colors can pop nicely in certain objects, like flowers around the hotel, or specific wardrobe choices like a bright red sweater, but the palette mostly veers toward pastel hues and can come across a bit faded and dull. While contrast is balanced fairly well, black levels are a little elevated. I also detected some very minor shimmering around tight patterns like a striped shirt. Avanti! arrives on Blu-ray with a respectable transfer, even if one does get the sense that the image could benefit from a new scan and a proper remastering. The film is presented with an English DTS-HD MA 2.0 track, along with optional English subtitles. Devoid of any major technical issues, this is a modest yet surprisingly effective mix. Dialogue is full and clean throughout, making it easy to hear all of Wilder and frequent co-writer I.A.L Diamond's amusing dialogue. I detected some very minor pops, but the overall track is crisp and free from any age-related quirks. Effects work is fairly minimal, but there is appropriate ambience when called for, helping to liven up the Italian locations. Likewise, Carlo Rustichelli's lovely score comes through with pleasing range, giving ample presence to the film's beautiful central melody. For a 46 year old movie, Avanti! sounds very good, avoiding many of the issues that some other films from this era can suffer from. Interview with Star Juliet Mills (HD, 11 min) – In this retrospective interview, the actress discusses how she got involved with the project, her weight gain for the role, and what is was like to work with the director and cast. Interview with Star Clive Revill (HD, 15 min) – In this retrospective interview, the actor talks about getting ivolved with the movie, the script, and his theater career. Trailer (HD, 3 min) – The film's trailer is included. Additional Trailers – Trailers for One, Two, Three, The Private Life of Sherlock Holmes, and Witness for the Prosecution are all included. 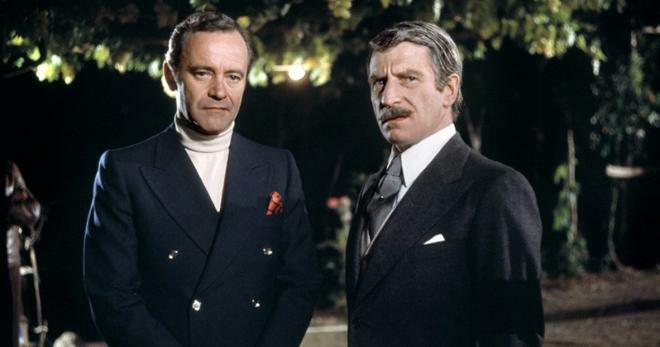 Though it might not be one of the director's best films, Avanti! is still a solid effort from the legendary Billy Wilder. Some aspects of the script are a bit outdated, but the movie offers an amusing blend of comedy, romance, and pathos. On the technical front, the video transfer is a bit on the dull side yet still respectable and the audio mix has been nicely preserved. And while there aren't a ton of supplements, the included interviews are worthwhile. Recommended.